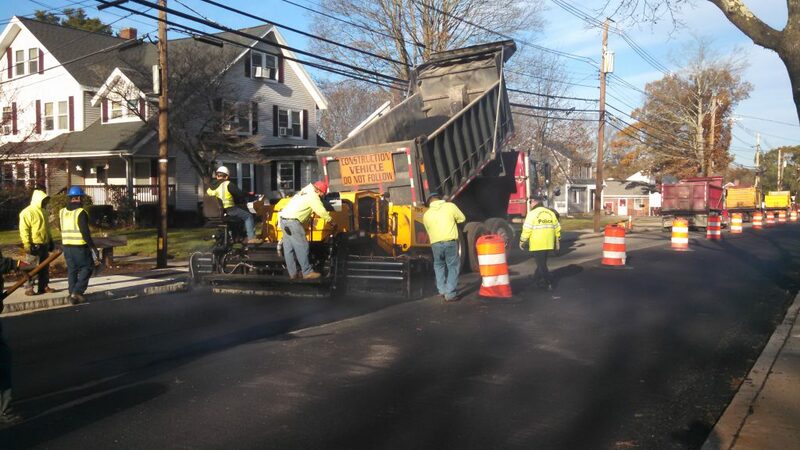 RJV Construction specializes in replacing aging water mains and sewers. 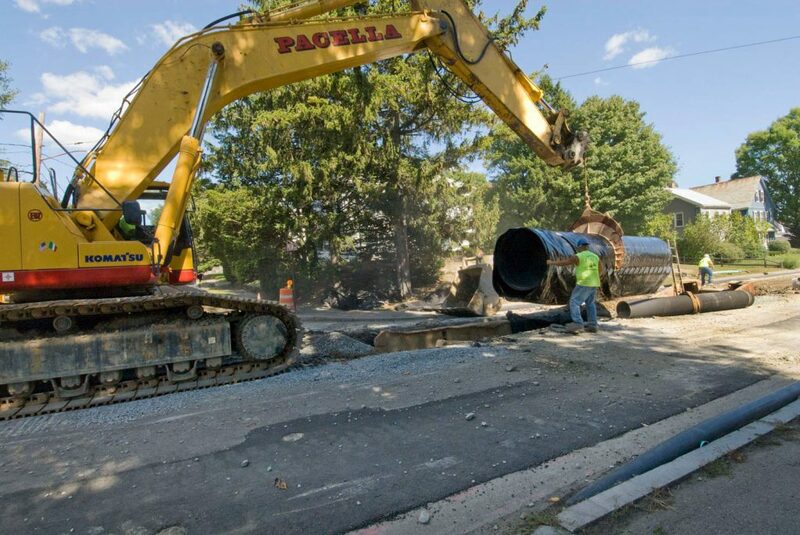 Past jobs have included the installation of new water mains and sewers in Boston and towns & cities in eastern Massachusetts. 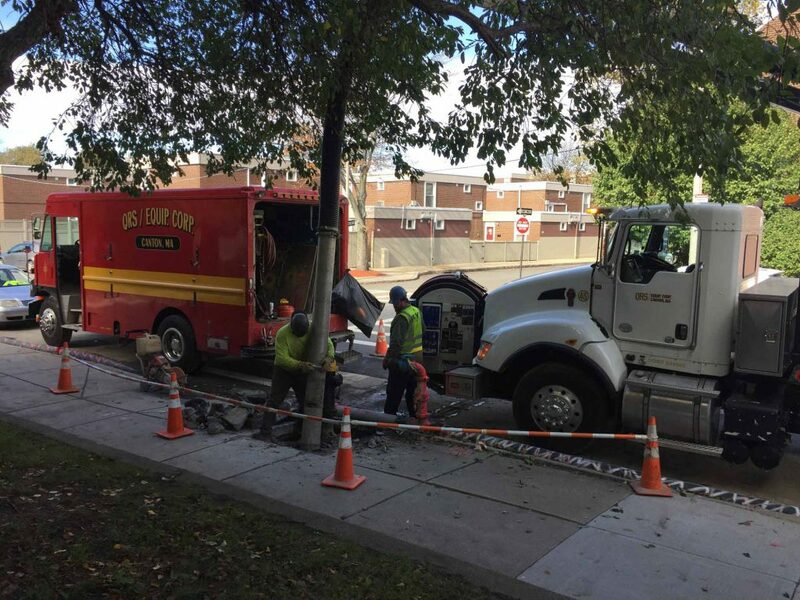 We have experience installing pipes ranging from 4” up to 72” via open cut method, directional drilling, pipe jacking and cured-in-place pipe lining. RJV Construction has more than 30 years of experience installing new drain lines. 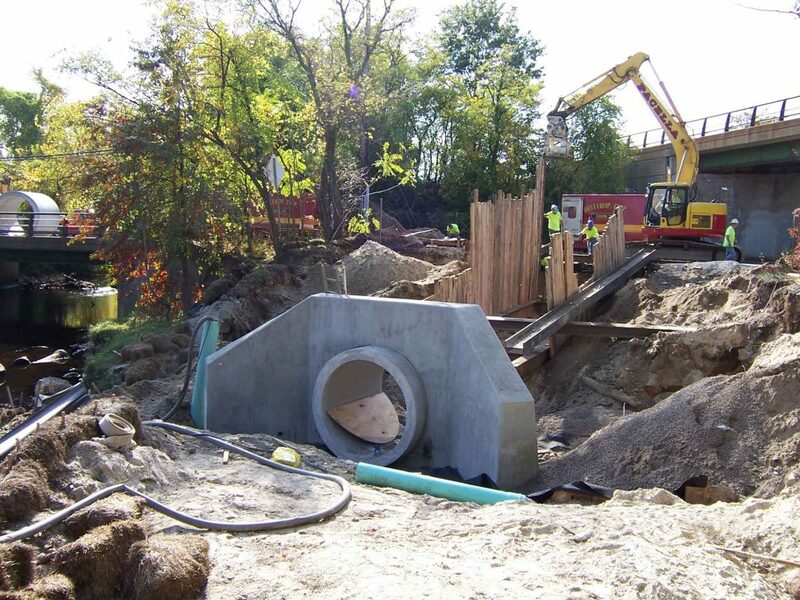 This experience includes the installation of concrete headwalls, drainage swales, stormwater separators and underground stormwater storage systems. We have installed pipes ranging from 12” up to 84” via open cut method, directional drilling, pipe jacking and cured-in-place pipe lining. 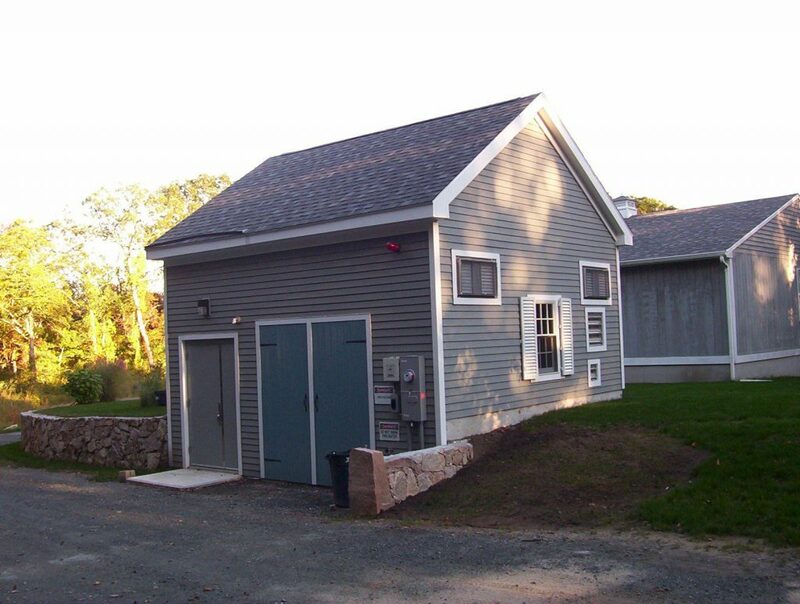 RJV Construction is certified with the Division of Capital Asset Management and Maintenance (DCAMM) and offers services to install or upgrade submersible and suction lift sewer pump stations. RJV Construction specializes in vacuum excavation services and cleaning of sewer and drain systems. With a fleet of tri-axle dump trucks, dump trailers and lowbeds, RJV Construction is there to move any aggregate materials and equipment. 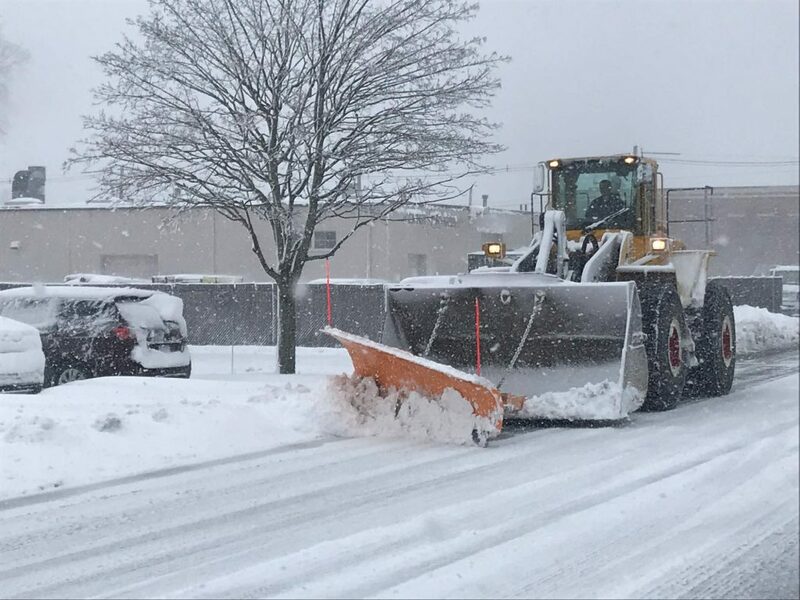 RJV Construction offers complete snowplowing and sanding services for municipalities and commercial/retail properties. 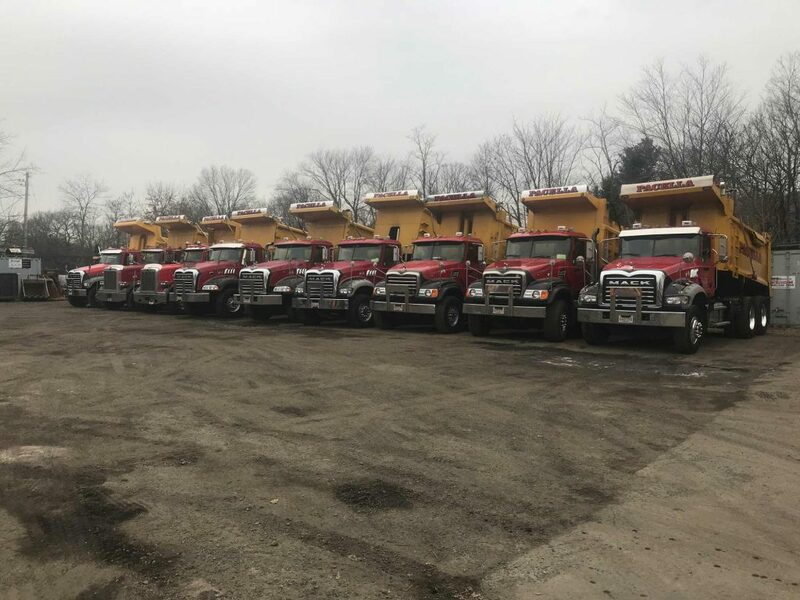 We own and operate a fleet of front-end loaders, backhoes, trucks and sanders to assist with any snow removal needs. RJV Construction has a 37 year history of providing turnkey services to perform all sitework and excavation for new buildings and developments. 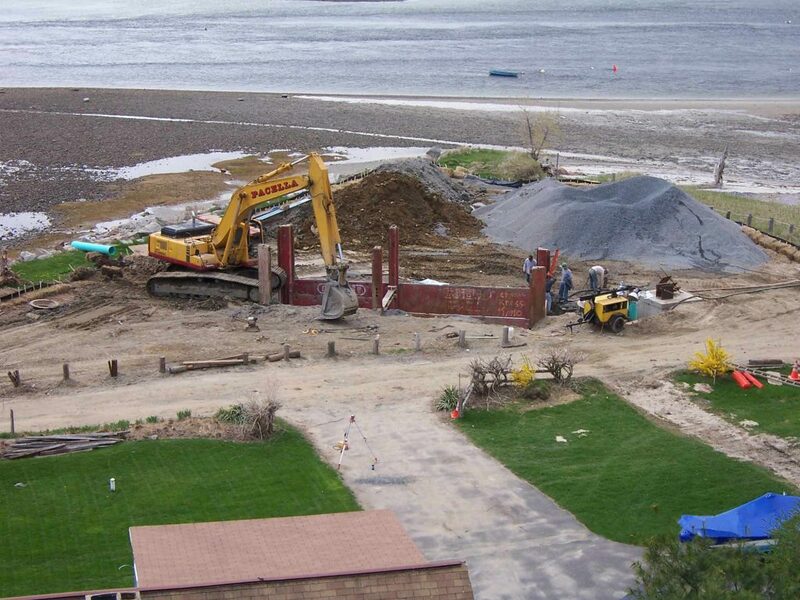 These services include utilities, foundations, grading, screening, crushing and disposal of unsuitable materials. Our team also includes licensed blasters who handle rock removal, drilling and splitting.